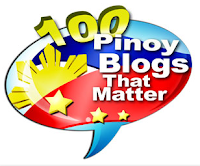 Home BIG 4 KENZO GUTIERREZ PINOY BIG BROTHER TELEVISION Pinoy Big Brother 737 Teen Big 4 are revealed! Pinoy Big Brother PBB 737 Teen Big 4 housemates have been revealed earlier during the 6th Eviction Night, when Julia Barretto's "ex" Kenzo Gutierrez was also announced as last teen evictee of this edition, after he got the lowest vote difference (BBS - BBE votes). Now let's have a look at the final tally of votes. 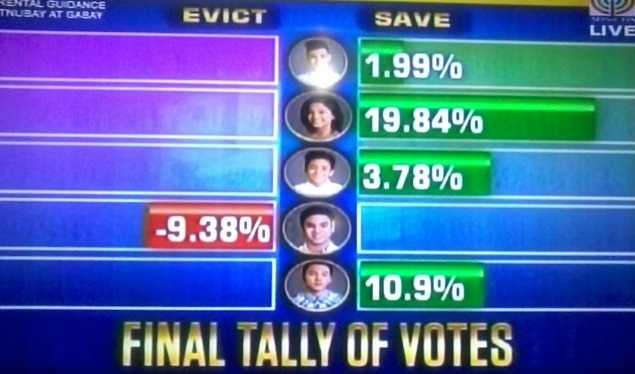 All I though it was a close fight among the 5 housemates, but it didn't turn out to be. 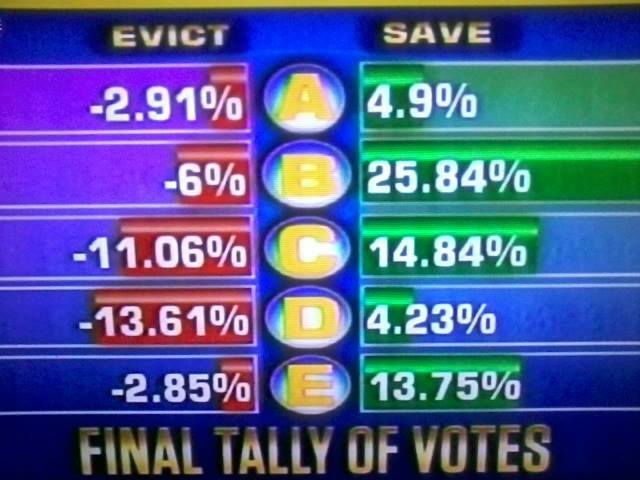 In BBS votes (or Vote to Save), Ylona got a huge 25.84%, while Kenzo was the one who got the most BBE or Vote to Evict votes (-13.61%), and it outnumbered his BBS votes, so he got evicted. 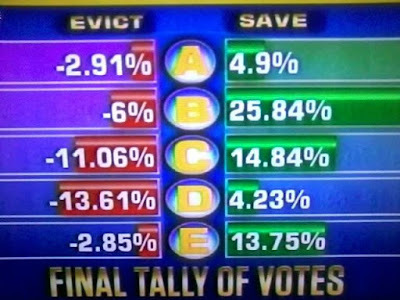 Rapper Jimboy Martin once again proved he's the nicest housemate, after getting the least number of BBE votes, just 2.85%. 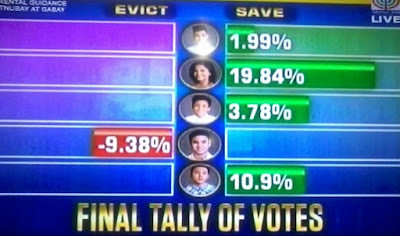 I'm kinda surprised that Bailey, who has over 600,000 Facebook fans, tallied the 2nd lowest BBS votes, behind evicted housemate Kenzo. Now, what's next for the Big 4?